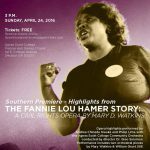 These are pictures from the performance on April 24, 2016 of excerpts from Dark River: The Fannie Lou Hamer Story by Mary Watkins at Agnes Scott College in Decatur, GA.
Andrea Chinedu Nwoke sang the role of Fannie Lou Hamer and Philip Lima sang the role of Pap Hamer. 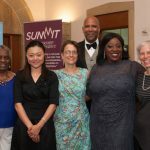 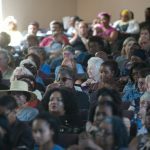 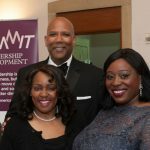 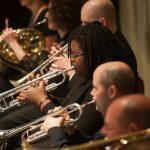 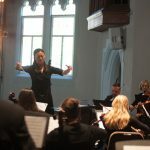 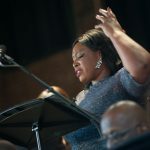 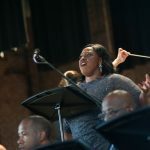 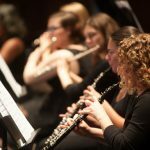 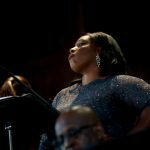 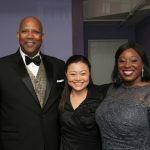 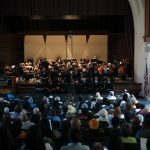 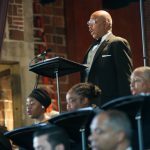 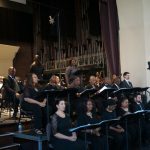 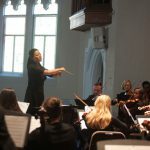 They were accompanied by a chorus of 12 professional singers from Atlanta and the 67-piece Agnes Scott College Community Orchestra conducted by Dr. Qiao Solomon. 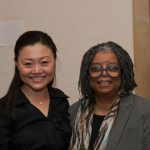 Elizabeth Kiss, the President of Agnes Scott College, hosted the event, and there were many special guests such as Vergie Hamer Faulkner (daughter of Fannie Lou Hamer), Andrea Young (the daughter of Congressman and Ambassador Andrew Young), and Edna Swift (the first African-American to graduate from Agnes Scott College). 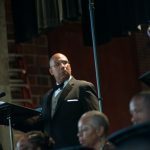 This project was supported by generous grants from the National Endowment for the Arts, the Starry Night Fund, the James T. and Ella Rather Kirk Fund, and Delta Airlines.